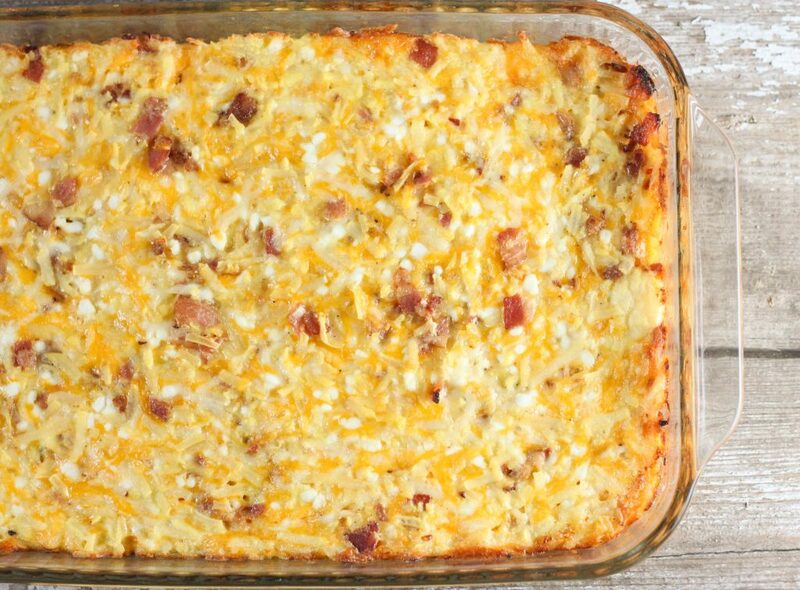 This Hashbrown Breakfast Casserole is an easy breakfast recipe that will have everyone asking for seconds and doesn’t have to be made the night before. 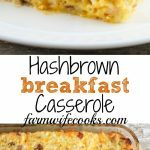 I am picky about my breakfast casseroles I usually like the sausage strata type or the overnight french toast kind but hadn’t found a recipe I enjoyed for a hash brown type of casserole until this one! My youngest is a picky eater but he gobbled this casserole up! So much so that I offered it to him for almost every meal until it was gone. Sometimes it isn’t worth fighting a toddler, at least he was eating! 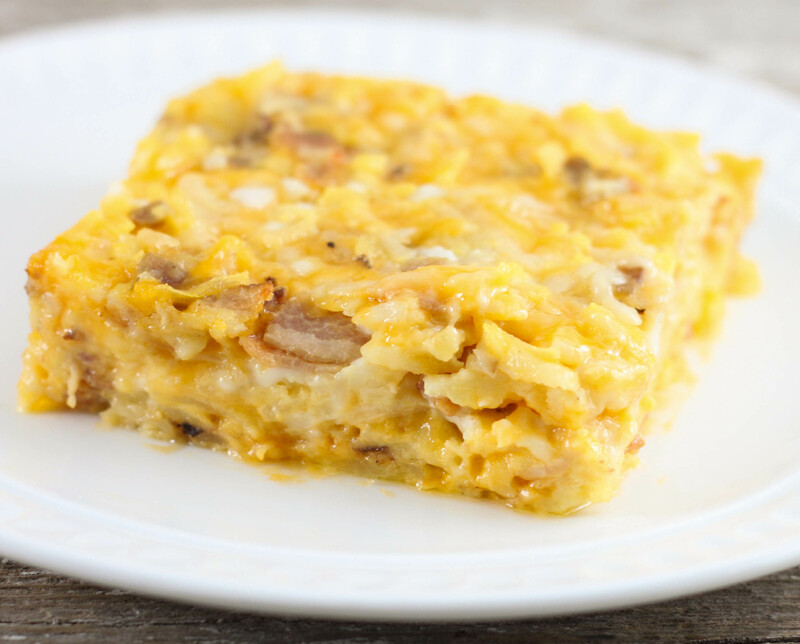 This recipe came from one of my favorite cookbooks, a fundraiser cookbook that dairy farmers from across the Midwest submitted their favorite recipes. Farmwives know how to cook! I love that you don’t have to make this recipe the night before. You can if you have time but every now and then you need to feed a big crowd without much notice and I usually have all the ingredients for this recipe on hand. If you are in a hurry you could use a couple of the Oscar Meyer Bacon Bits so you don’t have to cook your bacon. You could also use minced onion so you didn’t have to saute the fresh onion. In a large skillet, cook the bacon and onion until bacon is crisp; drain. Transfer to a greased 9x13 inch baking dish. Bake, uncovered at 350 degrees for 35 to 40 minutes or until set and bubbly.